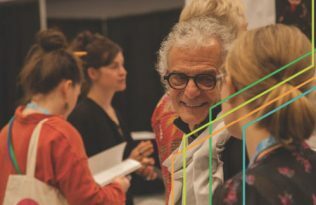 We’re counting down the days until the 2019 College Art Association annual meeting, taking place in New York City on February 12–16. 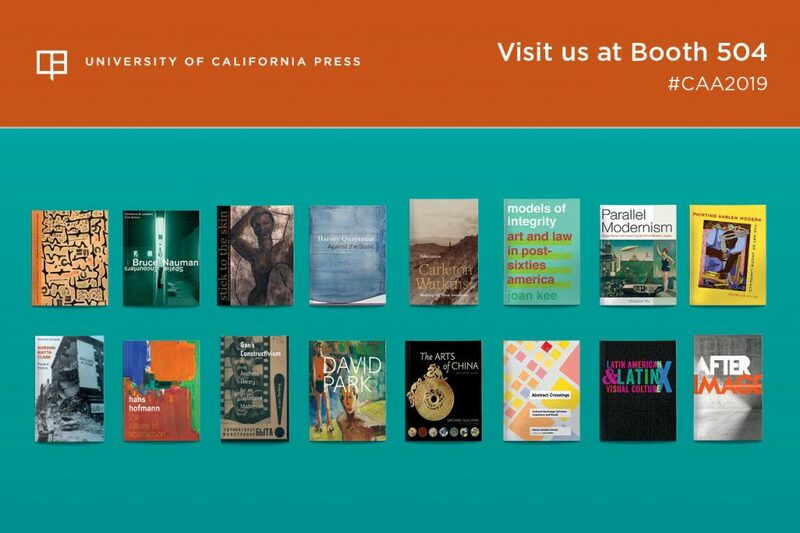 Be sure to visit UC Press in the Book and Trade Fair at booth #504 for a 40% discount on our new and notable Art titles. From the first title in our Studies on Latin American Art series (forthcoming in July) to the landmark Documents of Twentieth-Century Art series, our rich catalog of titles in American art, Asian art, global modern and contemporary art, museum studies, and visual culture offer a wide variety of topics appropriate for your research and classroom use. 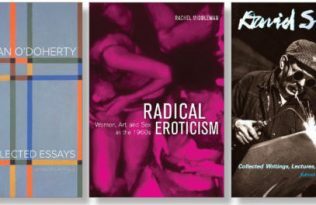 Take early advantage of the conference discount and start saving today on any of these Art titles. Enter 18E3005 at checkout. At the booth we will also have the inaugural issue of Latin American and Latinx Visual Culture, plus other exciting news around our visual art journals. We ❤️ spending Valentine’s Day in such good company, and this year we have even more opportunity with a number of UC Press book events on the roster. We hope you can join our authors at one or more of the below venues during the conference. Please send your RSVP to rsvp@speronewestwater.com. RSVP strongly recommended. Please e-mail shaina.cash@artlawoffice.com if you plan on attending.